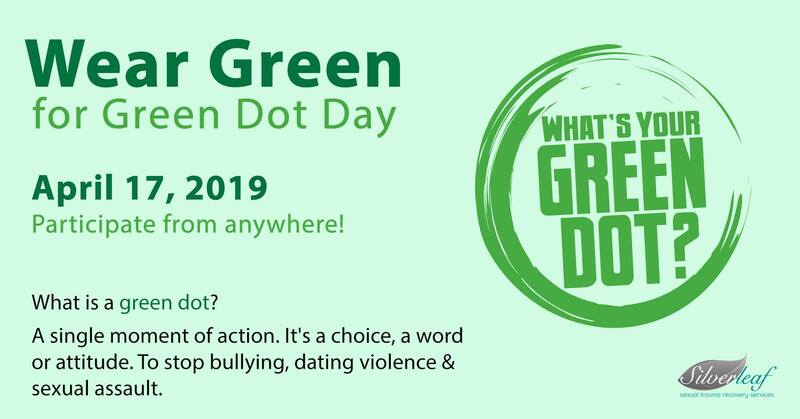 Join us in celebrating Green Dot Day by wearing green on April 17! Green Dot offers violence prevention strategies and training for people of all ages. For children and adults, risk factors need to be identified and addressed while protective factors enhanced and strengthened. Each of our programs addresses age-specific forms of violence with developmentally appropriate, skills-based and research informed approaches. By wearing green, participants help raise awareness for Green Dot training and violence prevention! 💚 Wear it! Outfit and accessorize yourself with teal on April 2 to raise awareness about sexual assault. 🗣️ Tell people why you are wearing teal and ask them to join violence prevention efforts. 🤳 Post about Wear Green for Green Dot Day on social media using the hashtags #GreenDot, #GreenDotDay, and #LiveTheGreenDot. To learn more about Green Dot training, please reach out to Silverleaf Sexual Trauma Recovery Svcs. Silverleaf Sexual Trauma Recovery Services is a non-profit organization dedicated to reducing the trauma experienced by victims of sexual abuse and sexual assault. 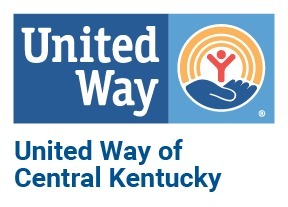 Funding is in whole or in part from federal, CHFS, or other state funds.